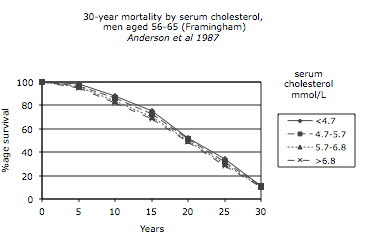 Anderson KM, Castelli WP, Levy D.
Cholesterol and mortality: 30 years of follow-up from the Framingham study. It had been suggested (and perhaps assumed) in the 1950s that coronary heart disease (CHD) was due to “cholesterol” - the diet-cholesterol-heart hypothesis was born. However there was academic concern that there should be a rigorous investigation into the suggested relationship between cholesterol in the blood and subsequent survival. 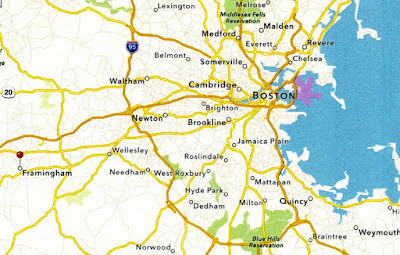 This led to the Framingham Heart Study. 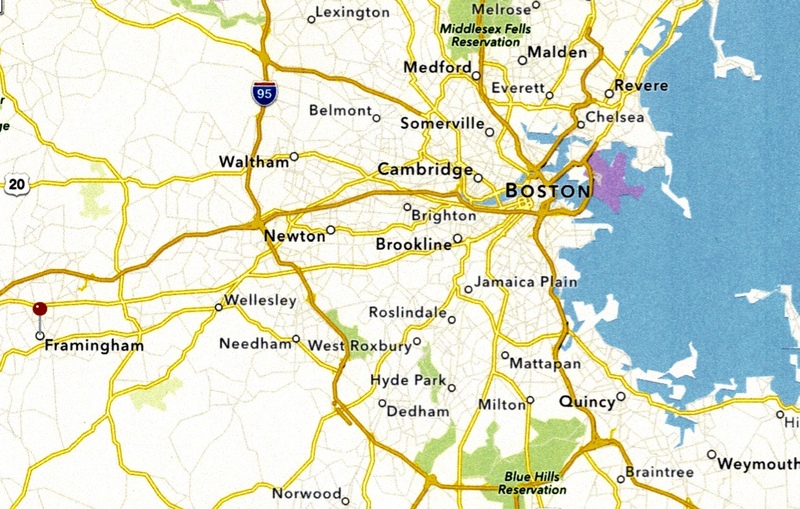 Framingham is a town in Massachusetts, close to Boston, and this town was chosen for the study. All residents received (with their permission) an annual cardiovascular health check. Blood cholesterol was estimated at the onset of the study. Deaths were noted carefully. After 30 years the data were analysed and survival graphs were generated. They are shown below. The conclusion is shown at the top of this Post. It is true to say that hardly anyone knows of this result. 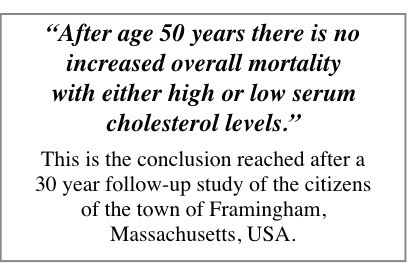 During the 30 years gestation period of the study the diet-heart-cholesterol hypothesis had become engrained in society. No-one wanted to publicise the fact that it is not true. The truth has remained hidden. Figure 1 shows survival curves for men aged 56-65 at the onset of the 30 year study. 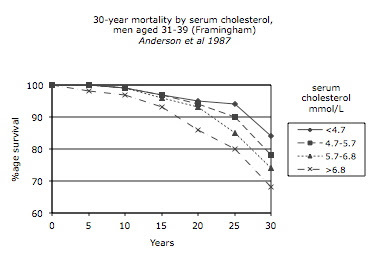 The different graph lines indicate different blood levels of cholesterol. 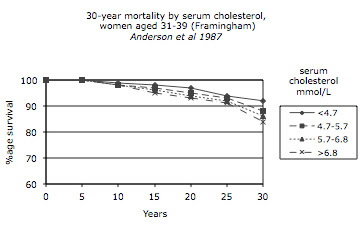 It is clear that the cholesterol level had no influence on survival. As they were more than 56 years of age at the onset it is not surprising that 90% had died after 30 years. There is no display of women in this age-group. Other studies demonstrate that it would have shown an improved survival for those with the highest blood cholesterol levels. Figure 2 illustrates the same process for men who were in their 30s at the onset of the study. Those with the best survival had the lowest cholesterol levels. This has been publicised well, but without the information of the restricted age range. Figure 3 illustrates the same process for women who were in their 30s at the onset of the study. The overall survival (mean 88% at 30 years) is much better than for men (78% at 30 years, Figure 2). There is just a very small effect of cholesterol. The continuing dogma that cholesterol is always bad is not correct.